SEAMAN JOB INFO - Posted/Jan/2019 PT. 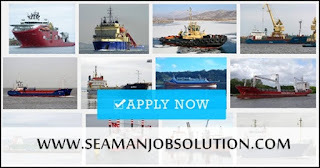 Abiyasa Putra Samudra hiring jobs for Indonesian seafarers crew join on Crew Boat, Tugboat, Bunker, Offshore Supply Vessel deployment A.S.A.P. 2. For officer must have 3-5years experiences in the same rank and vessel, for rating experiences 2-3 years in the same rank and vessel. 0 Response to "Hiring Crew For Crew Boat, Tugboat, Bunker, Offshore Supply Vessel"